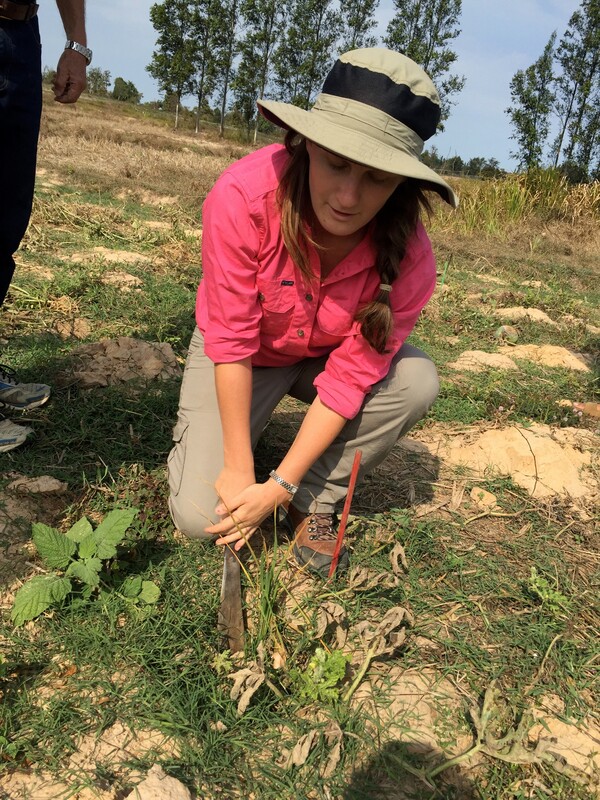 Further to their last visit in Savannakhet province, where they met other young Australian researchers and volunteers working with Prof Lester Burgess, Harriet Brickhill and Jillian Lyall describe their latest field trip experience. Once again we set off in a tightly packed mini van driven by the boisterous and hilarious Mr Ep, who is a complete larrikin cracking jokes all the time (not that we are privy to the hilarity as they are always in Lao!). Getting used to Lester’s enthusiasm by now, we were not surprised to learn that we were up for another big day. Our first stop saw us trekking out into a remote field to one of his field trials. This trial was conducted on the farmers’ land using five different cultivars to see how each cultivar reacts to natural innoculum levels of fusarium wilt in the soil. 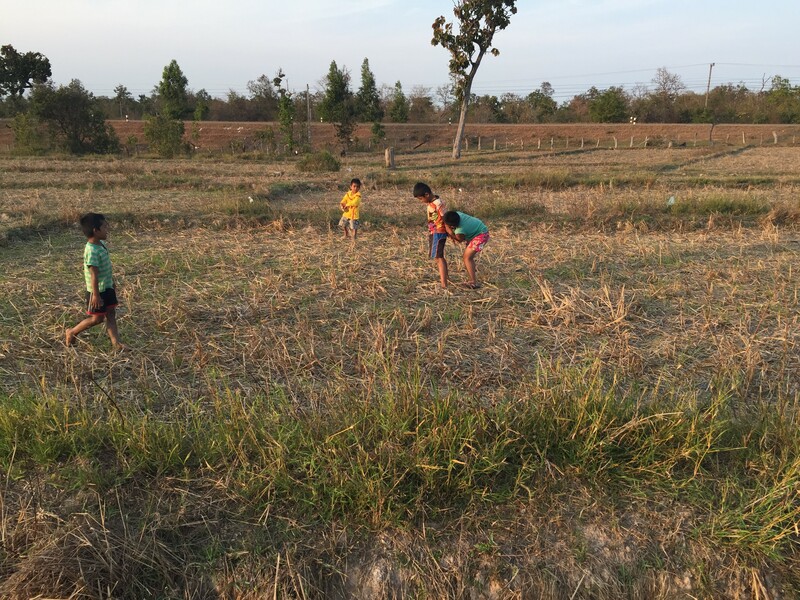 As this was a field trial, there were a lot of other factors that complicated the results. 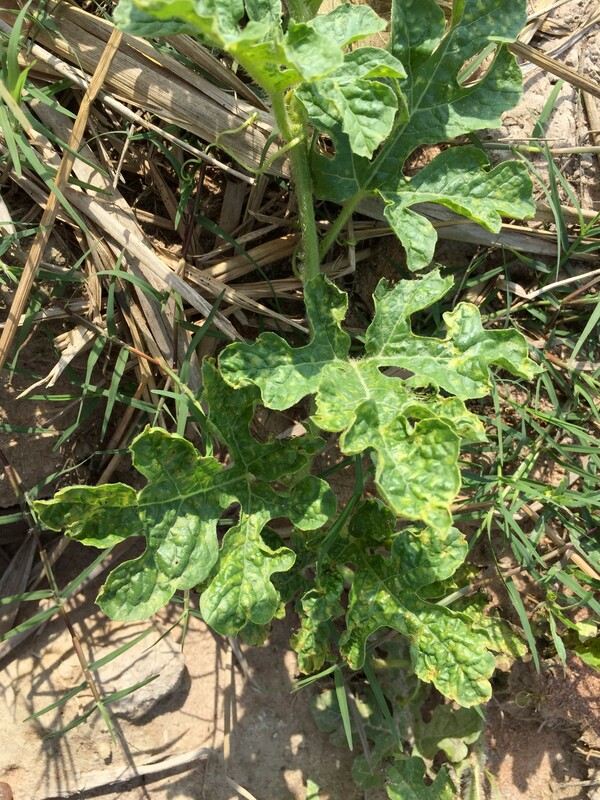 A virus had devastated the crop across the trial, as well as insect borers and root rot nematodes, all of which had to be taken into account. The volunteers cutting up the fruit of our labour! This was Jill’s first experience of the trials and tribulations of research work and she was overheard saying, “All this digging for no sign of wilt??!!!”. This was her first lesson in the sometimes repetitive work involved in research! After this site, two more trial sites were visited. These sites had better growing conditions but similar issues to what had affected the first trial—the virus was particularly devastating. We found we were often followed by another very scientific team of the local village children who loved to investigate what we were digging up! 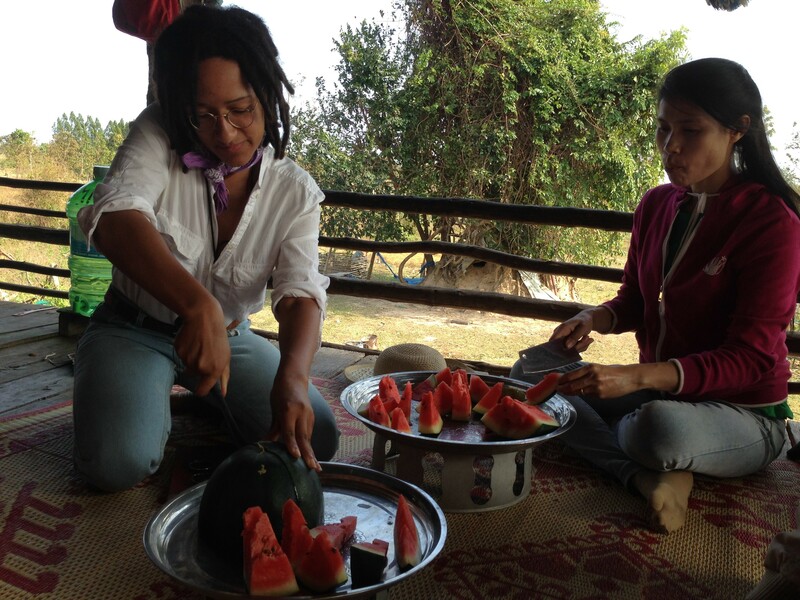 This trip we realized the real upside to working with watermelons, as we were invited into the farmer’s home to taste the fruit of our labour. We returned sore but satisfied at 7.30 that night, uplifted by the experiences we gained from the day. 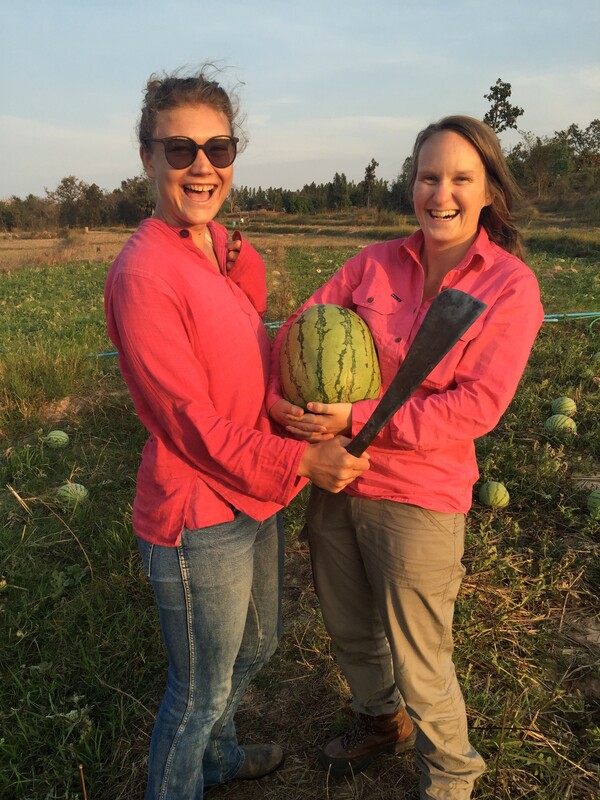 We were also very happy with our very own large watermelon to enjoy later.